Becky Lynch's WrestleMania Moment Shattered! Becky Lynch Suspended and removed from her WrestleMania Match?! Last night on WWE RAW Becky Lynch had to apologize to Triple H & to Stephanie McMahon in order for her suspension to be lifted. Even though she was medically cleared by both her own doctors and by WWE medical team to do the WrestleMania Match. Her original suspension made on a previous Episode of RAW following Royal Rumble for not seeing any doctors or WWE Medical. After speaking to other WWE Superstars Finn Bálor, Ronda Rousey and Alexa Bliss, she did apologize to Triple H and Stephanie. 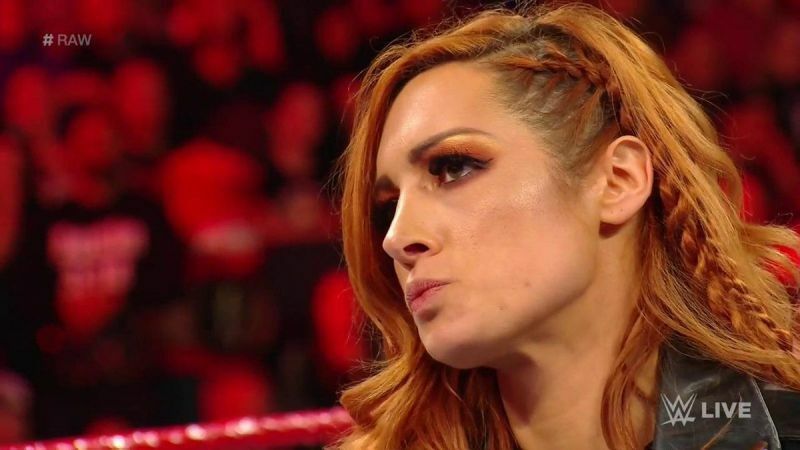 The Chairman of WWE, Vince McMahon came out from the Gorilla Pod (behind the main stage) and suspended Becky lynch for 60 days costing her WrestleMania Match against the "baddest woman on the planet" Ronda Rousey. Instead being replaced by Charlotte Flair. This wasn't the first time Flair and Ronda has had a match. Back in Survivor Series 2018 Becky Lynch was not medically cleared after suffering a broken nose from the RAW invasion prior from Nia Jax. Flair still has a heated rivalry against Ronda after losing the Survivor Series match which turned her Heel. YES! Come on Charlotte Flair! WOOOOOOOOOOO!